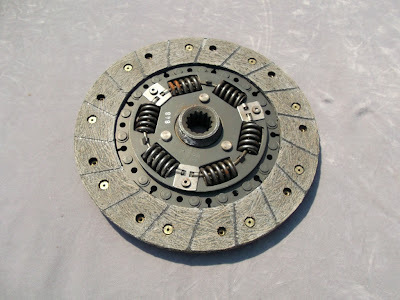 I also have a couple of these extra heavy duty clutch plates to go, sorry there are no matching cover plates or bearing kits to go with them. On the other hand the friction plate is the part that gets most of the wear and tear and these are old enough to be a proper lining material and not any of this new fangled eco friendly stuff too. The box is hand marked; Opel Ascona, Commodore, Manta, Rekord & Vauxhall Bedford light commercial, as the picture shows it is Part No. GCP 546. 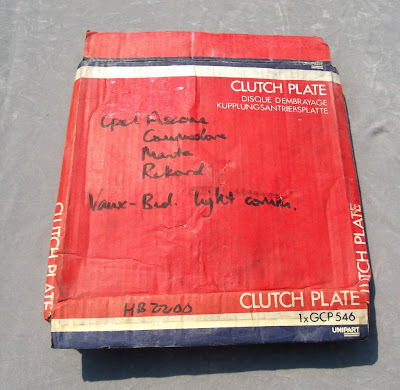 The box itself is from the Unipart brand who produce original equipment components and are "a first tier supplier for the automotive industry, with all the necessary quality accreditation to support a customer base which includes British, European and Japanese vehicle manufacturers". The clutch units measure a shade over 9 inches in diameter, research has revealed that the 9 inch unit is used behind the 2.2L engine on the Opel Rekord 2.2L EFIs. It is possible that this unit is also compatible with the 2.4L engine used in the early 5 door Vauxhall Frontera AWD S.U.V. So this part could be both useful as an original equipment replacement on the Opel Rekord E series cars equipped with the 2.2 litre C.I.H. engine and also desirable to the many modifiers who have installed high output engines in the Opel Ascona, Kadett, Manta and Rekord. 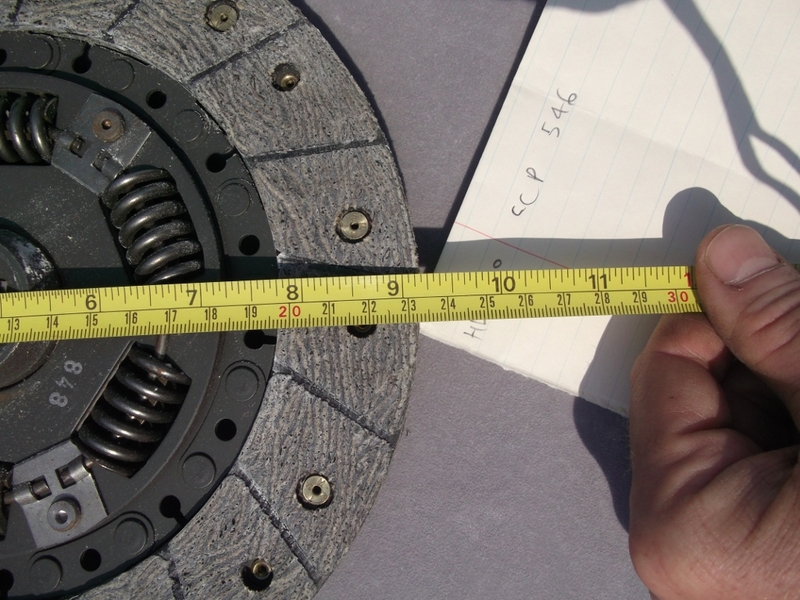 Big clutch plate - yes we're looking at a whole 9 inches! I double checked the mounting spline for compatibility with the humble 4 speed GM gearbox fitted to the Opel Manta A series and many other classic Opels. However, it should be noted that this size of clutch plate is too wide for the flywheel on a standard 2 litre C.I.H. engine. Being new and unopened old stock, they are in mint condition, the asking price is £35 which includes tracked delivery costs within the UK. I can send to some European locations too, but please ask for a quote first., two have already gone and this is the last one left. 27/11/12 - 2 have sold and just the 1 left in stock - Hurry up if you want one!